It’s back again, y’all! Savor Dallas, presented by Goody Goody, will return to on April 6-9, and this year they’re featuring five events over four days. The 13th annual food, wine, and spirits celebration’s gourmet adventures include a smokin’ hot opening night kickoff in the Harwood District, a mixology-fueled cocktail party, a supreme grand tasting experience, and a farmer’s market brunch. Each event promises innovative culinary creations from local talent paired with drink tastings from across the world. This year, Savor Dallas introduces a team of host chefs, who will preside over the events and curate one-of-a-kind tasting experiences for guests. The 2017 host chefs include Chef Kirstyn Brewer of soon-to-be-named Chinese concept, Chef Katherine Clapner of Dude, Sweet Chocolate, Pitmaster Matt Dallman of 18th & Vine, Chef Graham Dodds of Wayward Sons, Chef Omar Flores of Casa Rubia and Whistle Britches, Chef Brian Luscher of The Grape, Chef Misti Norris, Chef Stephen Rogers of Gemma and soon-to-open Sachet, Chef Nathan Tate of Rapscallion and Boulevardier, and Chef David Uygur of Lucia. In addition, Savor Dallas is honored to have Chef Chad Houser of Café Momentum as the honorary host chef of the festival, highlighting and supporting the vital work he does in the city and beyond by transforming young people’s lives for the better. “Savor Dallas is doing great things to support the local dining scene—and our community as a whole,” said Houser. “I’m excited to continue Café Momentum’s partnership with the festival, and I look forward to seeing everyone at the events. You won’t want to miss them—we have some really delicious surprises in store,” said Houser. Tickets are available now at www.SavorDallas.com. Prices range between $55 to $400, with à la carte options and all-inclusive packages available. Playing with fire and featuring smoked flavors—both savory and sweet! The ultimate opening night kickoff to Savor Dallas is a new event that puts a whole different spin on everyone’s favorite— barbecue! Host chefs Katherine Clapner, Matt Dallman and Nathan Tate along with other culinary innovators put a fresh taste on all that smoke and fire. Where the cocktail is king and the mixologist reigns supreme… Savor Dallas’s signature spirits and mixology-driven event, Shaken + Stirred is at a new home this year—Happiest Hour. In addition to those creative drinks, host chefs Graham Dodds, Misti Norris, and David Uygur curate a charcuterie experience like no other with additional food pairings from additional chefs and restaurants. Savor Dallas’s most exclusive tasting experience, The Reserve Tasting is hosted in conjunction with the Grand Tasting and features the most premier wines including reserve and limited edition labels along with an exclusive spirits tasting lounge. 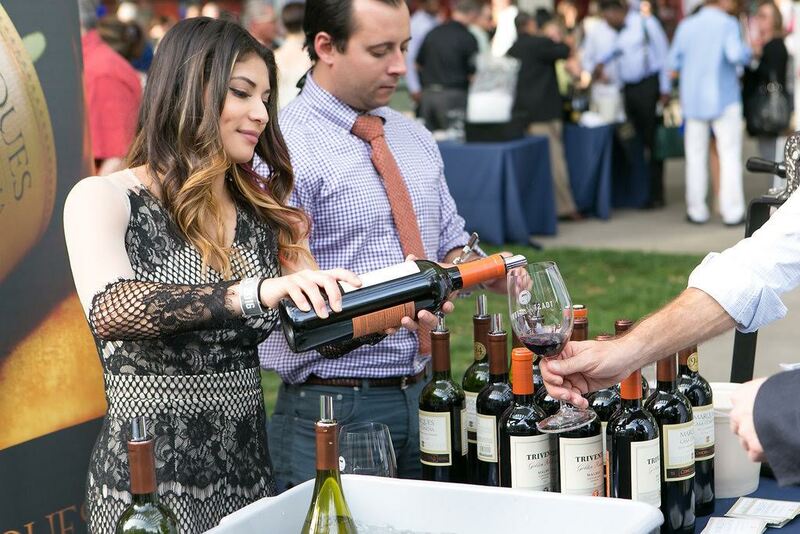 Savor Dallas’s delicious main event, the Grand Tasting continues its reign as the ultimate epicurean destination featuring endless sampling opportunities. Hosted by Chad Houser along with Chefs Kirstyn Brewer, Omar Flores, Brian Luscher and Stephen Rogers it’s a can’t-miss evening with some of Dallas’s favorite culinary talent along with wines and spirits purveyors from across the world—plus, an outdoor grill lounge, live music and so much more. This installment of Savor Dallas’s signature Community Brunch wraps up the weekend of Indulgences on a fresh note with a delicious walk-around tasting featuring the Dallas Farmer’s Market’s chefs and the local farmers whose ingredients inspire them. Of course, bubbly, cocktails, and mocktails are all on the menu, too, along with entertainment that’s perfect for an easy Sunday morning.